These cupcakes were made to celebrate a one year old's birthday! 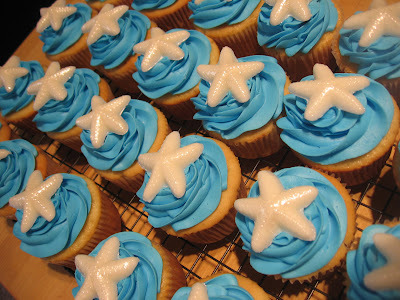 Vanilla cupcakes with vanilla bc, white chocolate starfish painted with white sparkle dust. These are so amazing! 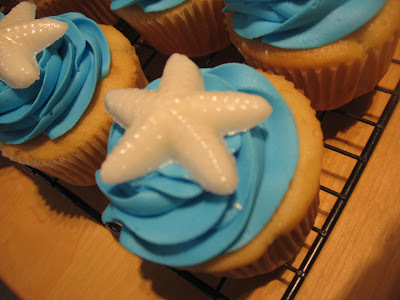 How did u make the starfish?